Crystal is a fascinating material; Crystal is stronger than regular glass so it can be formed thin. Crystal reflects and refracts light and has a satisfying sound when glasses are clinked. The thin rim is optimum for making wine or beverages taste their best. 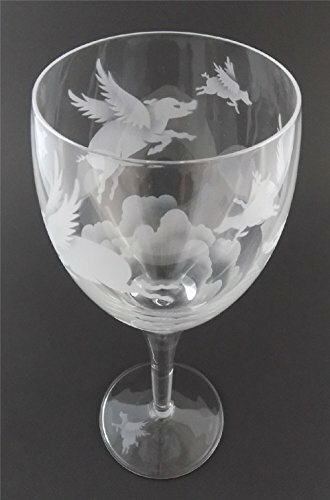 Sandblasting (sand carving) cuts deep and permanently into glass, crystal, or metal and won't fade. Designs are freehand drawn, stencils skillfully hand cut, and each piece is sandblasted individually. Proudly handmade in America; Each individual piece is signed and dated to preserve the timeless art. Amorpax Inc offers many different designs, colors, and similar products that will enliven your home or kitchen. Thanks for looking! If you have any questions about this product by IncisoArt, contact us by completing and submitting the form below. If you are looking for a specif part number, please include it with your message.